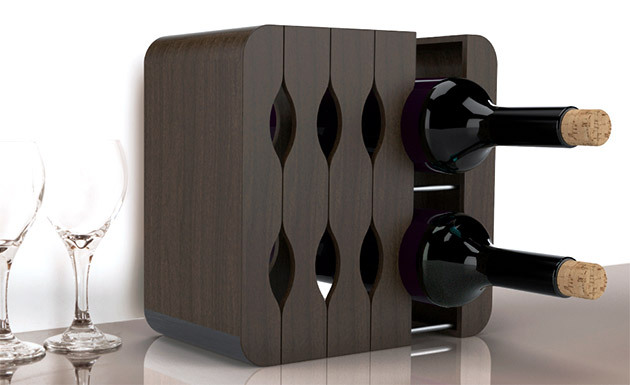 The Mirage Augmentable Rack ($45) shows you like to display your wine in style. This expandable wine rack is designed with two-tiered storage sections that extends to securely holds up to eight bottles. The Mirage features a solid wood construction with a wool base for easy sliding expansion.